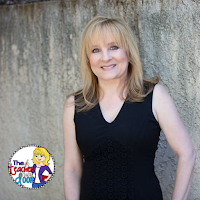 I have always loved using games in the classroom. I think games are a great way to reinforce the skills we're targeting, while keeping our kids engaged. 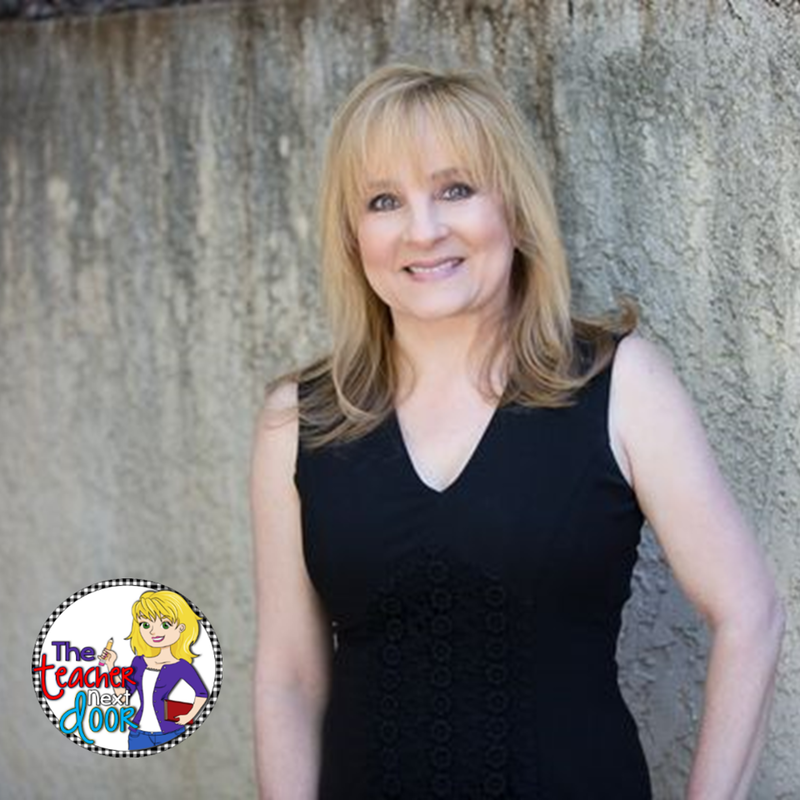 It's really a win-win teaching strategy for so many reasons! 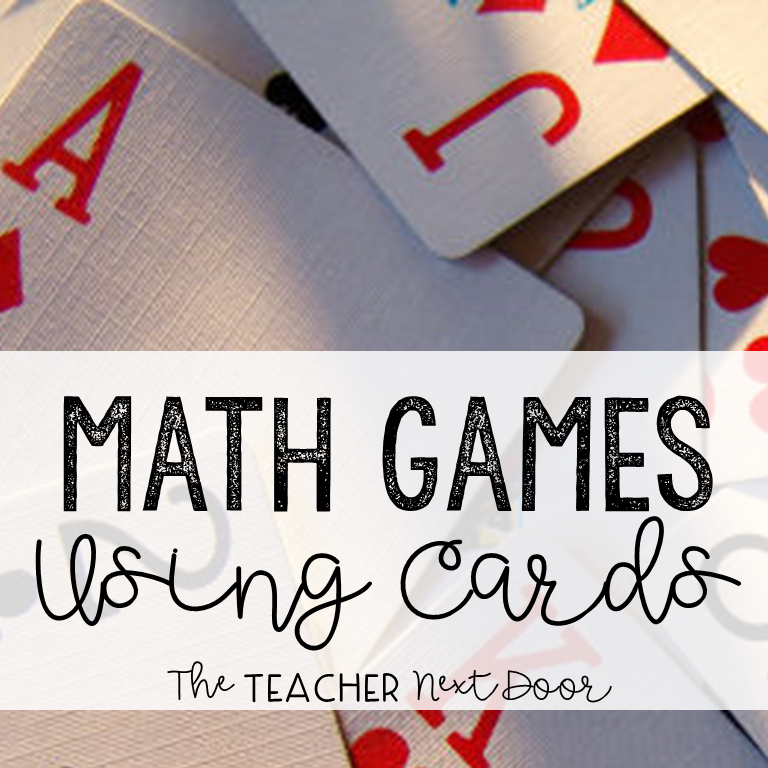 Math is one of my favorite subject areas, as far as incorporating games goes, so I thought I would share some of my favorite games with you that use a deck of cards. If you don't have many cards, I would really recommend going to the Dollar Store/Dollar Tree and stocking up...and by that, I mean I would get at least one deck per child, so you'll have more than enough to make your games a success. So...here they are. Seven math games using cards that will work well for many grade levels, particularly 3rd - 5th. Just a note, most of the games can be tweaked by difficulty (for example Multiplication War could be Addition War), so hopefully, you can make them work for your particular group of kids. 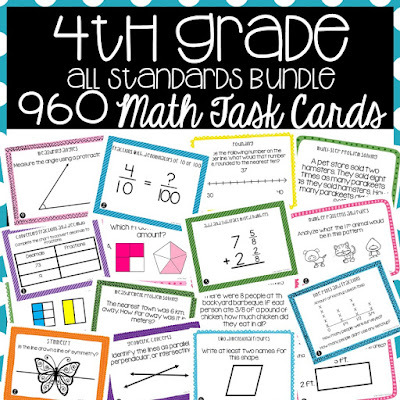 You'll need one deck of cards per student, with all the face cards taken out. To make the game more challenging, you can also remove the 1's (aces) and 2's as well. Players turn over the top card on their deck and the first person to multiply the numbers shown and say the product out loud (not too loud though) is the winner and keeps both cards. If there is a tie, cards go in the middle and the winner of the next round gets that pile too. For this game, kids will need 1 - 2 decks of cards (your choice), with only the kings removed. Aces are 1, Jacks are 11, and Queens are 12. One child is designated as "More than 30" and the other is "Less than 30". Each player gets half of the cards and then players flip over their top card. 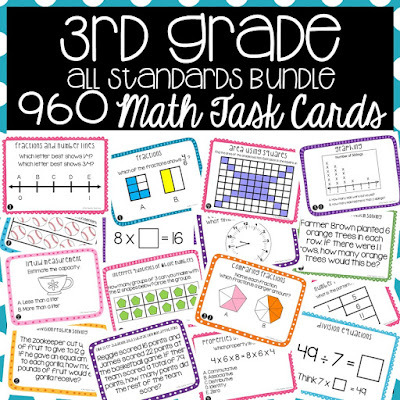 Students multiply these cards together and if the product is below 30, the Less Than Thirty child keeps the cards and if it is greater than 30, the More Than Thirty child keeps it. If it is exactly 30, the cards are left in the middle and the next winner keeps those cards as well. Play continues until the cards run out. The player with the most cards wins. Use 1 - 2 decks of cards and take out all of the face cards and the 10's. Aces equal one. 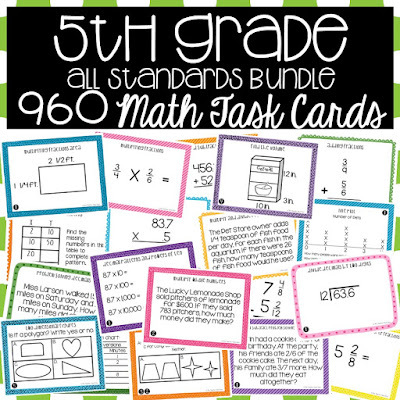 Once the cards are shuffled and each child gets half, each child turns over the number of cards that you specify...If you're working with hundreds, use 3...One thousands would be 4 and so on. Players may arrange the cards to make whatever number their little heart desires. You can tell them that the greatest number wins but what I like to do is to use a "More or Less coin" to determine the winner. These are simply made using a round plastic chip, a checker with a sticker in the middle, or a foam circle. I write more on one side and less on the other with a sharpie. That way no one knows the winner and gives up early. When both players have their numbers ready, the kids flip the coin to see if the highest or lowest number wins and keeps the cards. The one with the most cards at the end is the winner. This is a different place value game because it really requires higher level, logical types of thinking. Start by taking the face cards and 10's out of the deck(s). Aces equal one. Kids can make simple place value mats on scratch paper with a dash for each place value (if you're focusing on ten thousands, you need 5 dashes with a comma between the hundreds and thousands). If you like the game and have time, you might want to just make construction paper place value sets and laminate them. To play the game, shuffle the cards and divide the deck in half for 2 players. Players turn over one card at a time and place it on a dash on the place value mat. Once it is placed, it can not be removed!!! Here's where the thinking comes in. If you play the Build a Humongous Number game and get a 9, you would want to put that as close to the beginning of the number as possible and if you get a 2, you would want to put it near the end of the number... The player with the biggest (or littlest, if you're playing that game) number wins. 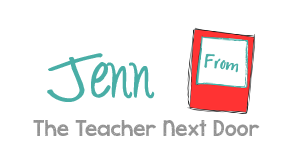 Teaching decimals? This can easily become a decimal place value game. You can even throw in a few joker cards for zeroes! This game's purpose is to compare fractions. Start by shuffling the cards. Leave the face cards and aces in. Aces = 11, Jacks = 12, (no 13's for this) Queens = 14, Kings = 15. Kids need either scratch paper and a pencil or whiteboards and a marker to do a bit of problem solving. 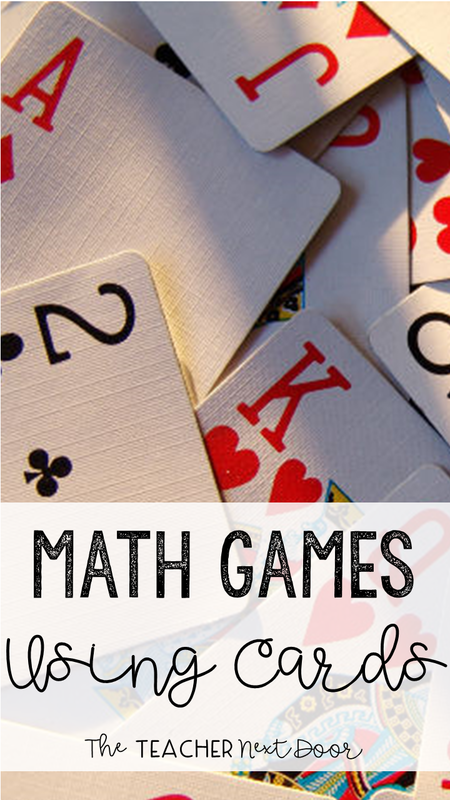 Split the deck(s) and each player turns over 2 cards that he/she will use to make a fraction. The smaller number is the numerator and the larger is the denominator. Kid's compare fractions and the larger fraction wins and keeps the cards (unless you use a more/less coin as explained above). If the fractions are equivalent, the cards are put in the middle and the winner of the next round takes those too. To prepare for this game, take out the aces. Make the Jacks 12, Queens 14, and the Kings 15 (no 13's again). Split the deck and shuffle the cards. Each player flips over the top two cards from his/her pile and makes a fraction with the smaller number on top. The first player (yes it's a race) to correctly simplify his/her fraction may keep the cards from that round. If there is a tie, cards are put in the middle for the next round's winner. If a player's cards can not be simplified, the other player may keep the cards IF he she simplifies his/her own fraction correctly. If not, cards go back in the center for the next round. The player with the most cards at the end wins. Students will need scratch paper or a whiteboard to work out some of their problems in this game. For this game, Aces are one, Jacks are 12, Queens are 14, and Kings are 15. Shuffle the deck and split the cards evenly. Players turn over the top 2 cards and make an improper fraction (big number on top). Each player converts that improper fraction to a mixed (or regular) number and the largest number wins (or use the more/less coin again). Winner keeps the cards and play continues. If there is a tie, the cards go in the middle to be taken by the winner of the next round. 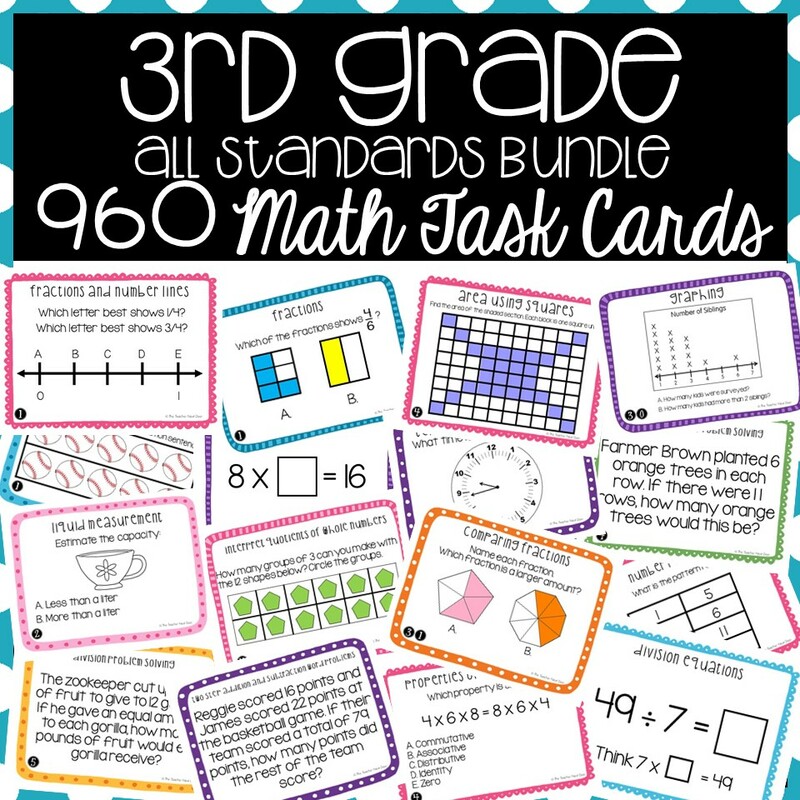 Besides using playing cards to make math more engaging, I love to use task cards. 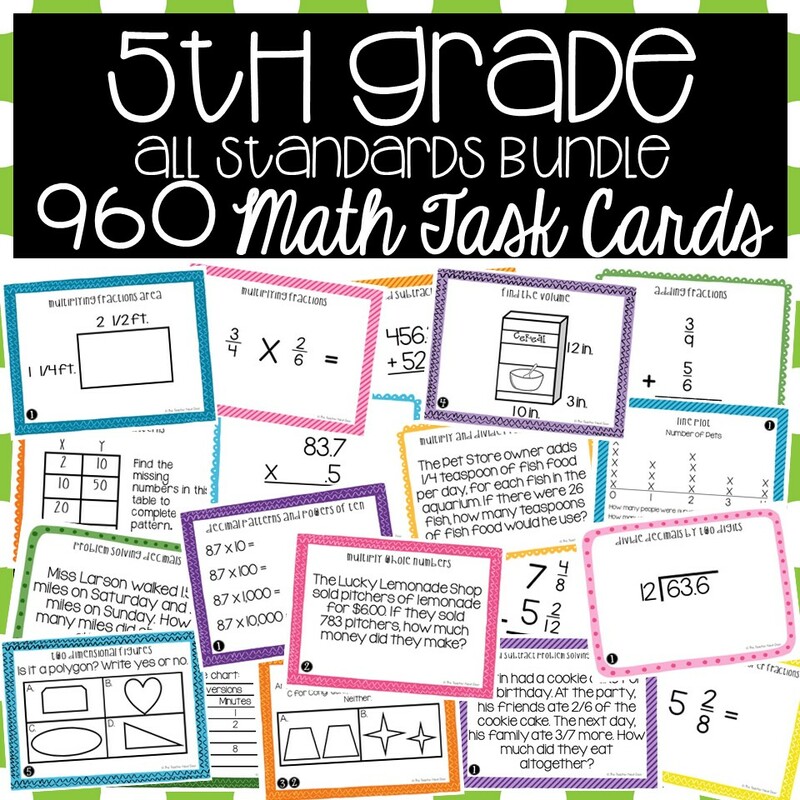 If you're interested in math task cards for any or ALL standards for the entire year for 3rd grade, 4th grade, and 5th grade, I would love for you to check these out.